An important new book by one of the Britain's great liberal thinkers, Hearts and Minds is part memoir, part political history and part history of ideas. In it, former Cabinet minister Oliver Letwin explains how the central ideas and policies of the modern Conservative party came into being, how they have played out over the period from Mrs Thatcher to Mrs May, and what needs to happen next in order to make the country a better place to live. Far from being a sugar-coated version of events, Letwin tells a story that he hopes will persuade readers that politicians are capable of recognising their mistakes and learning from them – and will show that social and economic liberalism, if correctly conceived, are capable of addressing the issues that confront us today. The book also describes Letwin’s own journey from a remarkable childhood with American academic parents, via Margaret Thatcher’s policy unit, into the very centre of first the Conservative—Liberal Democrat coalition, and then the Cameron government, where, as Minister for Government Policy and then Chancellor of the Duchy of Lancaster, every piece of government policy crossed his desk. It includes Letwin’s personal reflections on two devastating electoral events: the EU referendum and the general election of June 2017. Highly readable and, for a memoir of this kind, unusually candid; Letwin is much more open than most former ministers about admitting what went wrong. His conclusions about Thatcher and about NHS marketisation are probably the most important in the book, but it is all worth reading. Oliver Letwin is that rare thing in politics an intellectual with as much passion for putting ideas into practice as he has for thinking of them in the first place. He did as much as anyone to create a modern compassionate Conservative Party and was a linchpin of the coalition government. This book is a brilliantly frank and often amusing account of what worked and what didn't. 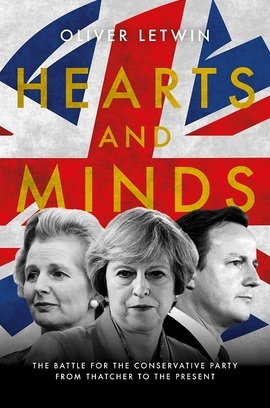 To read Hearts and Minds is to spend time in the company of Oliver Letwin and that is always a pleasure. Civilised, amusing, persuasive, engaging and insightful. This book is a convincing account of the development of modern liberal conservatism and an inspiration for its adherents. "Candid […] Engagingly written with good humour and tiggerish enthusiasm." "Refreshingly honest [...] fascinating reading."